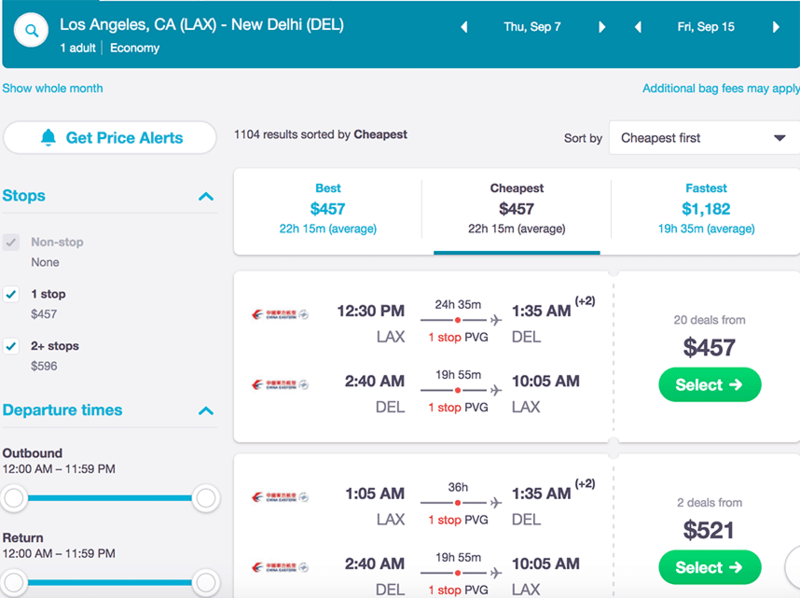 Skyscanner is my favorite tool for finding the cheapest flights available online. They are the ultimate website for flight comparisons across all platforms so that you don't need to logon to all the individual flight booking sites to compare prices on your own. It's super easy and really fun to use if you have a flexible schedule. Sometimes I'm not sure where I want to travel to next, I kind of want it to be a surprise, and Skyscanner has an awesome ​feature for this very purpose. 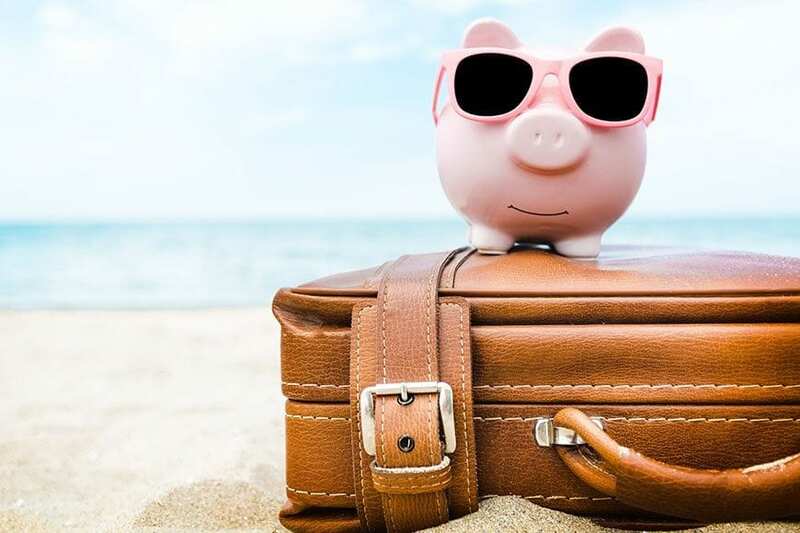 Next up, if you're open on your travel dates, you can use Skyscanner's cheapest month feature to find out the cheapest months to travel certain destinations. Go to the departure date and select "Whole Month"
After clicking on "Whole Month" then click on "Cheapest Month"
Your Screen should look like this. Having fun yet? Click on the green "Search Flights button" and here's what you will see. 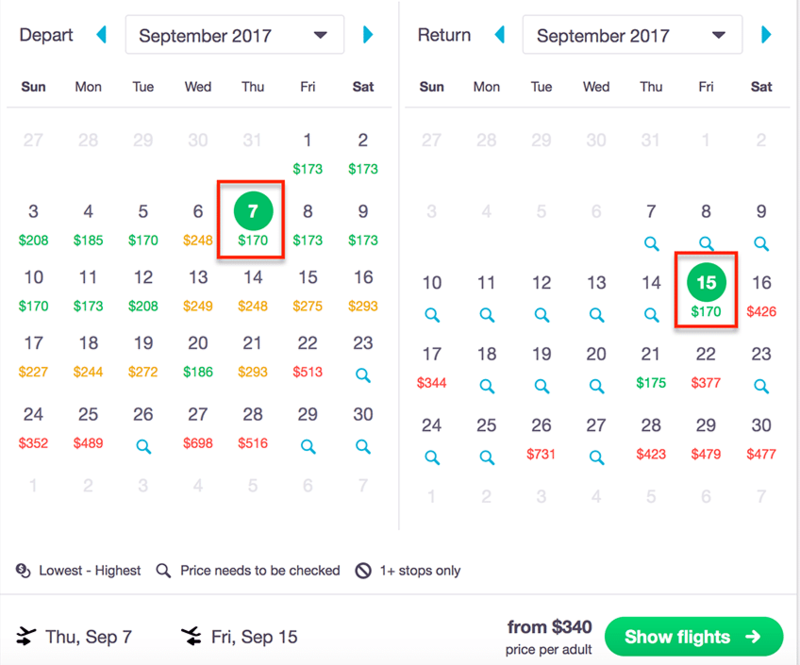 Choose your departure date on the left and the return date on the left, then click on the green Show Flights button on the lower right hand corner. 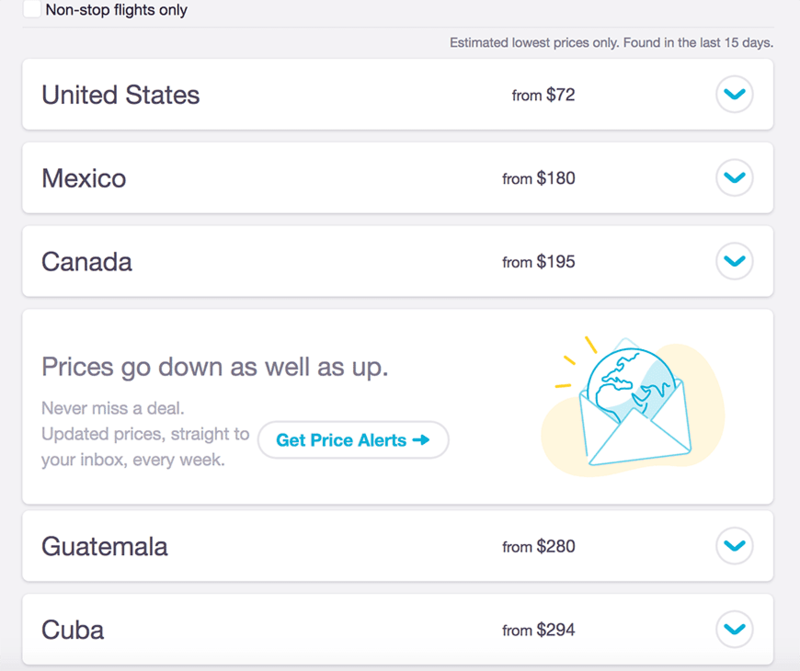 Here's the next page that pops up, giving you all the cheapest flight options available. 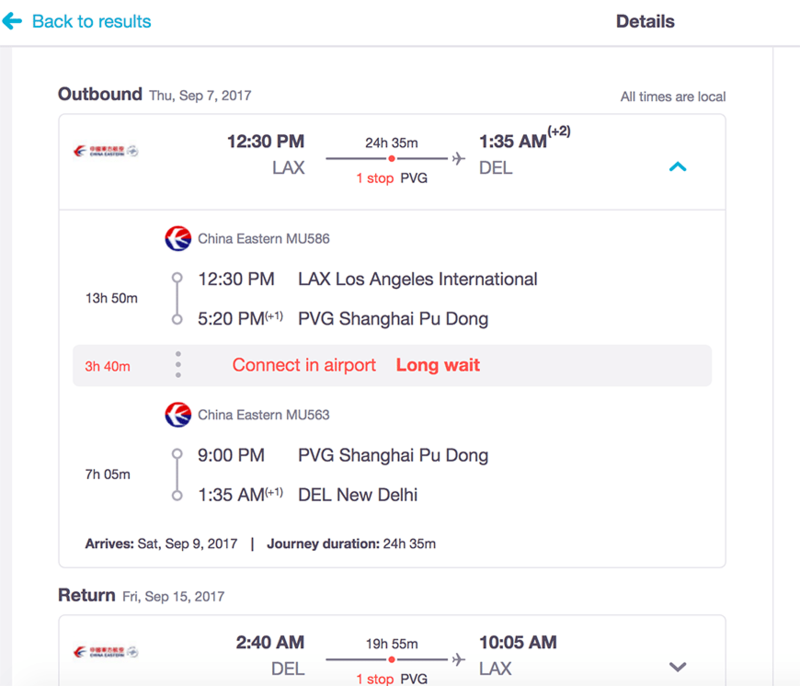 $457 ticket all the way to New Delhi, India? That's a helluva great deal! Note: Prices can vary a bit from the previous page where the estimates price was a mind blowing ​$340 a ticket. This is because the previous screen shows the prices that were available from previous searches by other users - up to 10 days in length. Click on the green select button to find out more details about the flight that you are interested in. Here's the screen that appears next. 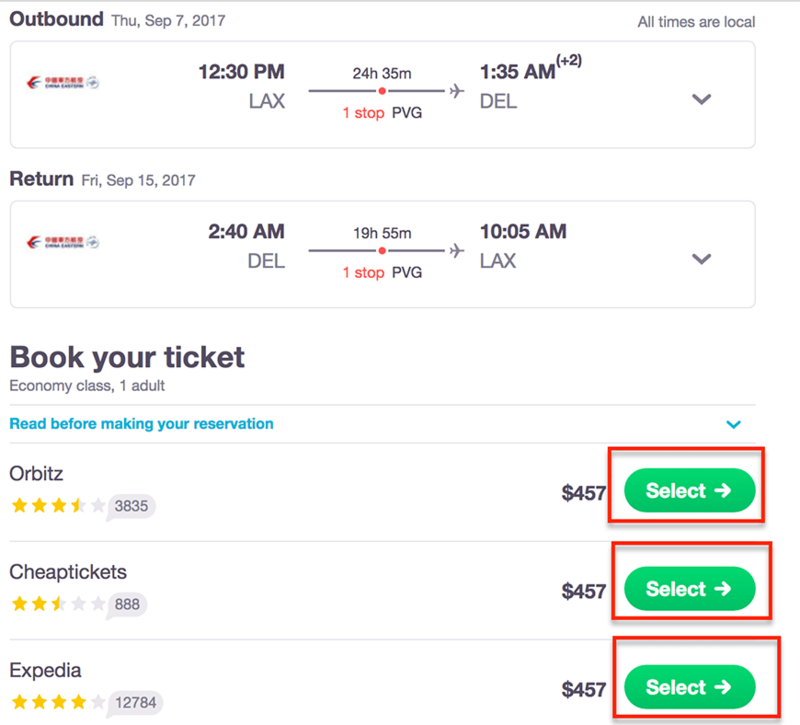 If you didn't select the "non-stop" flights only option earlier, you can click on the red "1 stop", circled below to find out more about your layover. After clicking on the "1 stop", it'll pull up this screen below, filling you in on all the details. 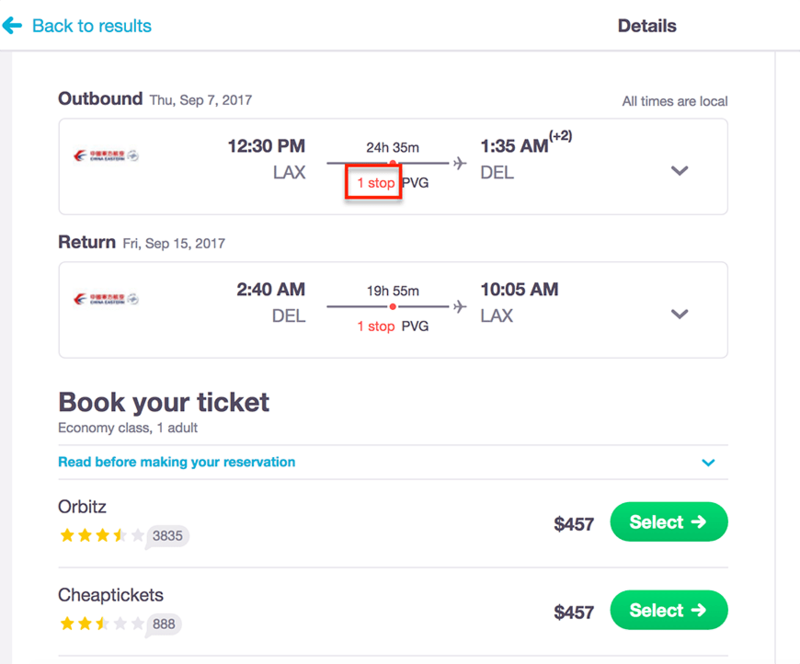 This layover is almost 4 hours, which isn't ideal but isn't that big of a deal to me either, considering the heavily discounted price. The return flight just has a 2 hours layover which is great! When you are ready to book the flight, just click on the green select button the right hand side of the screen and you are all set! Did you score any amazing deals via Skyscanner? Would love to hear about it!